Lupus is the common name for Systemic Lupus Erythematosus or SLE. Lupus originates from the Latin word for wolf. In the 18th century it was believed that lupus occurred due to wolf bites and hence the name. Lupus is a condition wherein the body's own immune system or natural defense system attacks its own tissues instead of attacking foreign bodies like virus and bacteria. This condition leads to inflammation and thereby swelling, pain and tissue damage throughout the body. In severe cases, Lupus may affect the kidney, lungs, nervous system, blood cells, etc. Lupus can occur in any part of the body. SLE affects the skin, joints and in many cases the internal organs of the body. The disease is more common in women than in men and particularly in women of child-bearing age. Systemic Lupus Erythematosus or SLE is characterized by chronic inflammation caused by an autoimmune disease. Abnormal antibodies are produced in the bodies of those suffering from Systemic Lupus Erythematosus and can cause inflammation in tissues anywhere in the body. SLE is more likely to affect women and those of African American and Chinese or Japanese descent. Check out the symptoms of Systemic Lupus. Systemic Lupus can occur to genetic factors, virus, drugs or UV light. Lupus affects the blood vessels and connective tissues of the skin. This condition is not contagious. 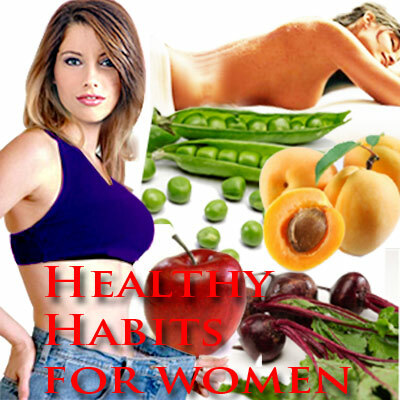 In women it has been noticed that symptoms of systemic lupus worsen during the PMS. Systemic Lupus typically tends to affect women in the child-bearing age. This is a chronic condition that has now seen improved prognosis due to better health care facilities such as new immuno-suppressive medication, anti hypertension drugs and dialysis. A condition of discoid lupus occurs when only the skin is affected by this lupus. Here the patient develops a chronic, scarring skin disease that is non-photosensitive in nature. The rashes are painless and appear on the face and scalp. In about 10% of the cases, discoid lupus progresses into SLE. Typical symptoms of Systemic Lupus include fatigue and fever. There is joint pain and swelling and often skin rashes. Other symptoms of Systemic Lupus are mouth sores, hair loss, headaches and high blood pressure, pericarditis and kidney problems. A person suffering from Systemic Lupus has symptoms such as low-grade fever, loss of appetite and unusual sensitivity to sun exposure. The disease may remain lifelong and symptoms may become severe. The most distinct sign of lupus is a rash on the face. It looks like the wings of a butterfly spreading across both the cheeks.It is called the butterfly rash. When Systemic Lupus gets more severe, it is likely to affect the brain, liver and kidney in addition to reducing white blood cells and blood clotting factors. There may be chest pain upon deep breathing. There may be swelling in the legs or around the eyes. Some patients suffering from Systemic Lupus face symptoms such as depression or seizures. Symptoms of Lupus might fade and recur. When symptoms get worse, it is termed as relapse or flare. When the symptoms are under control it is termed as remission. Though there is no single definitive test for Systemic Lupus, a physician bases his diagnosis on blood tests and typical symptoms of Systemic Lupus. The ANA (antinuclear antibody) test reflects infections or autoimmune disease and can help in identifying SLE. While this condition has no cure, corticosteroids and anti-inflammatory medications have been known to relieve joint inflammation and pain. First Published Date: Mar 5 2007 Last modified Date: April 18 2019 This page may have been updated recently as new information is available or the content may have been edited for better readability.